The recently presented Ford Transit Smart Energy Concept is a 10-seat all-electric minibus based on the Ford Transit, equipped with a StreetScooter WORK XL battery and powertrain. 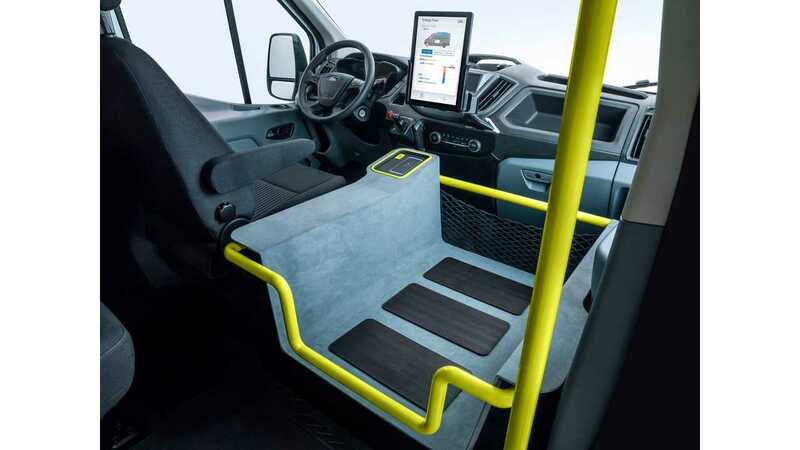 The main purpose of the project is to develop the best solutions to increase range, which is the "toughest challenge" in the minibus format because of frequent door openings, a large space to keep at comfortable temperatures, and a big payload to carry. Traditional electric heating can decrease the range in the winter by roughly 50%. "Compared to goods transport vehicles, multi-occupant vehicles such as minibuses require significantly more energy to create a comfortable temperature for occupants. The energy is provided by the high-voltage battery, presenting a significant challenge to the vehicle’s driving range. Demonstrated recently for the first time at a special “Go Further” experience in Amsterdam, Netherlands, the fully-functioning, all-electric Transit Smart Energy Concept delivers 150 kilometres driving range from a 4-hour charge, supported by energy-saving and energy-generating innovations from solar panels to powertrain heat recovery systems." 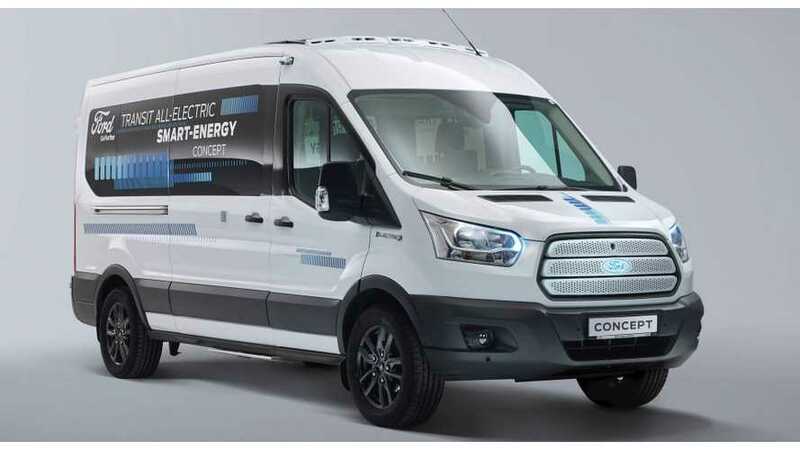 The range of the Ford Transit Smart Energy Concept is about 150 km (93 miles) and we guess that after all of those additional efforts, it will not drop that much during the winter, as in case of an ordinary electric minibus. However, there are no detailed test results. Real-world trials will begin later this year. 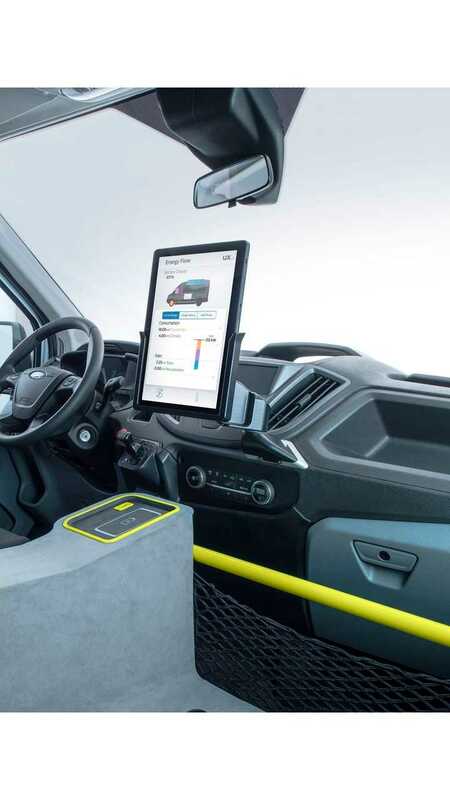 "The driver can monitor the temperature status of all passenger seats from a tablet-inspired screen mounted in the centre console, which also gives an overview of the power savings. Two screens mounted behind the driver enable passengers to track the vehicle’s location, find out about points-of-interest and receive news and weather updates. Future iterations of the concept are planned to enable the driver to control heating and cooling of individual seats – and deactivation of unoccupied seats. Automatic passenger detection inspired by existing airbag deployment technologies will also feature."